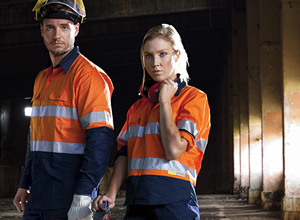 At Workwear Online, we pride ourselves on being one of the best places to buy high visibility workwear across Australia. 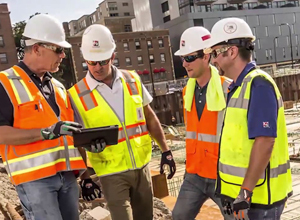 Hi Vis workwear and trade uniforms are a definite 'must have' in the modern workplace. 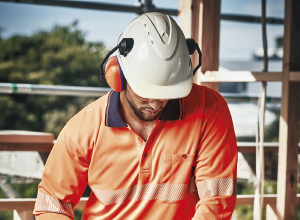 With most job sites having strict OH&S and WHS guidelines to follow, you can be assured that your staff are all compliant when purchasing any of our garments. By adding your logo, you can also give your uniforms a polished look that helps promote the professional reputation of your business. Click on the images below to see a selection of our extensive range. Hi Vis polo shirts and tshirts are a wardrobe essential for many workers hi vis uniform. Quick drying and hard wearing hi vis workwear. We have an extensive range of both long sleeve and short sleeve hi vis shirts and trade shirts. Also lighter weight options with venting for the warmer climates. Embroidered hi vis workwear is also a great option to make sure you're looking smart and professional while on the job. We have a wide range of hi vis vests available including day and day/night (D+N) as well as winter polar fleece and soft shell vests. Hi Vis Vests can easily be popped over your normal uniform or workwear to ensure your safety while working. Staying warm and dry throughout the winter months is a must particularly for those outdoor workers. Our range of hi vis jumpers, hi vis hoodies, wet weather jackets and traditional trade jackets and jumpers will ensure you are not only protected from the elements but look great too. Do you need work boots? socks? hi vis caps and hats? Well look no further! We have all the finishing touches to your complete your hi vis uniform. Our hard wearing trade pants and shorts will definitely go the distance. Both standard and light weight options are available and can be customised with your logo.